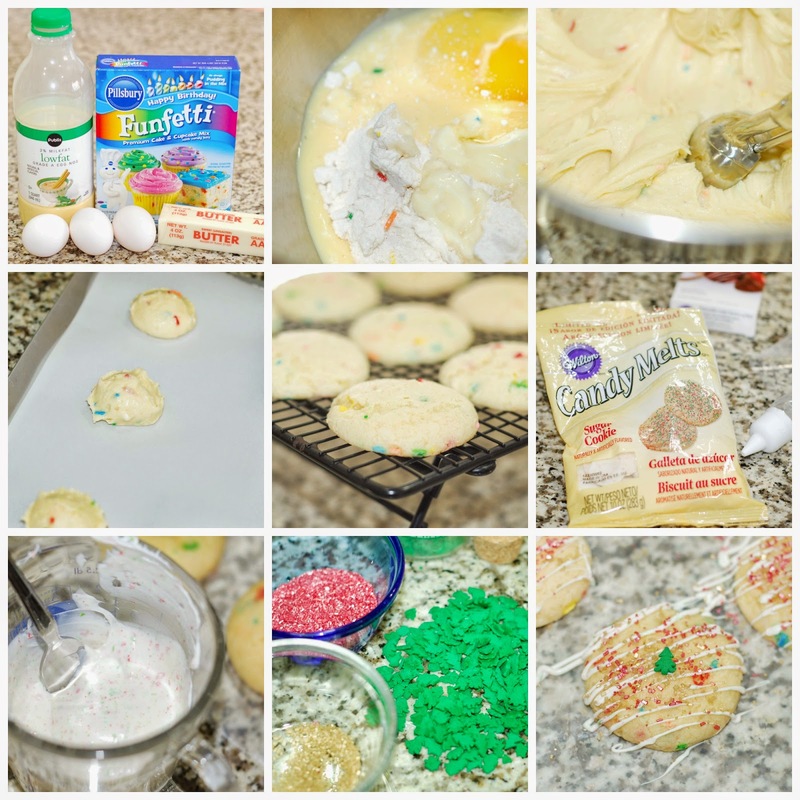 All you need is a box of funfetti cake mix, eggnog, eggs, and butter. I like the Pillsbury brand for the cake mix. 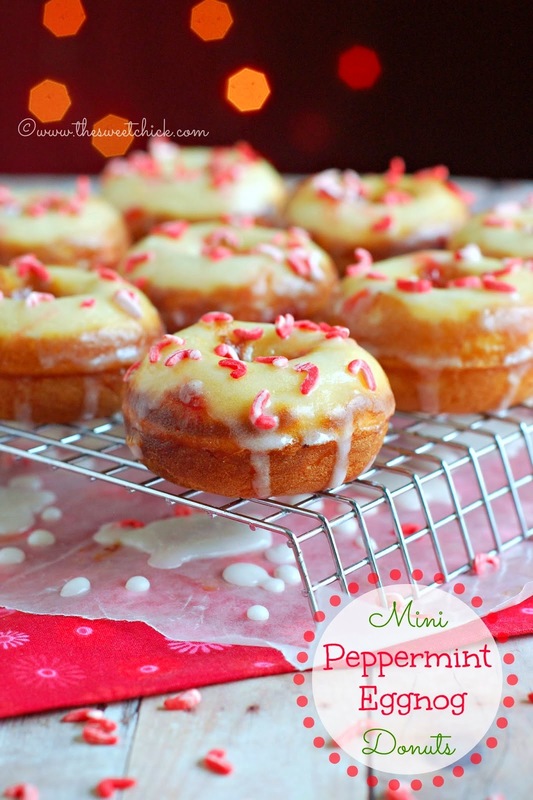 I used what I had in the pantry, but you can buy the holiday version that has the red and green sprinkles inside. The batter is easy to scoop with a regular cookie scoop. The sugar cookie candy melts I found at Walmart. They have pretty bits of green and red in the mix. The flavor was a perfect match for these cookies. I just melted the wafers in a glass measuring cup in the microwave, then poured it into a candy decorating bag with my Wilton candy decorating tip. Then I added some glittery red and gold sprinkles and a festive candy tree to the middle. I wasn't quite sure how these cookies would turn out. I thought they would have more of a cookie consistency, but they turned out more cake-like. Not that I am disappointed, because honestly, what's cuter than individually decorated mini cakes for the holiday. They taste great, they look beautiful, and you can eat them with one hand. No forks or knives needed. That's a win for me! 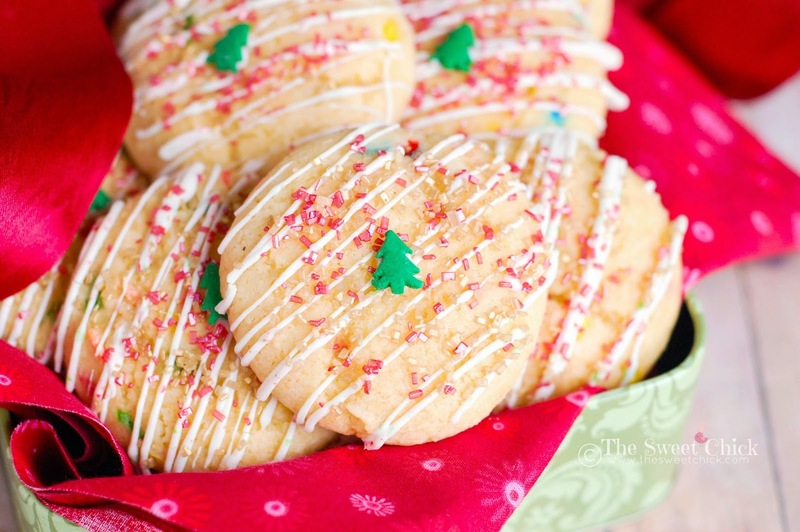 The candy melt and sprinkles added a bit of crunch to the soft cookies, just what they needed. If you do package them up, place a wax paper in between layers so they don't stick. 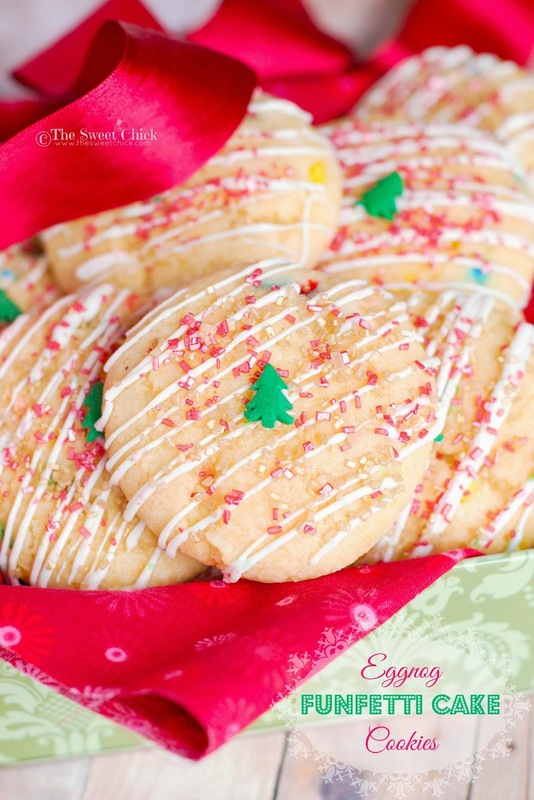 Although the candy melt and sprinkles do help a little with providing a barrier between cookies. You can put as little or as much candy melt as you wish. I only used a half a cup of wafers for these. I just love how pretty they came out. Sparkly and festive! 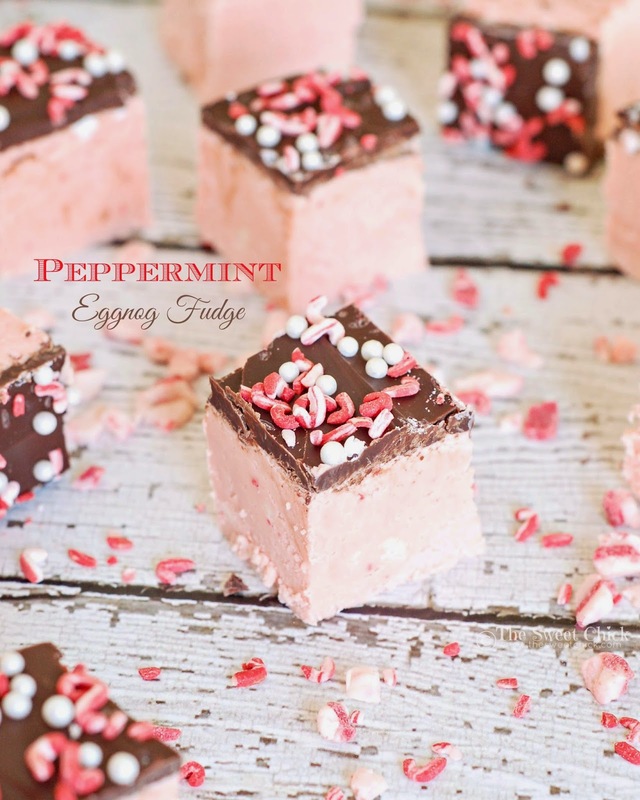 If you are looking for more ideas on what to use your leftover eggnog for, check out these recipes. 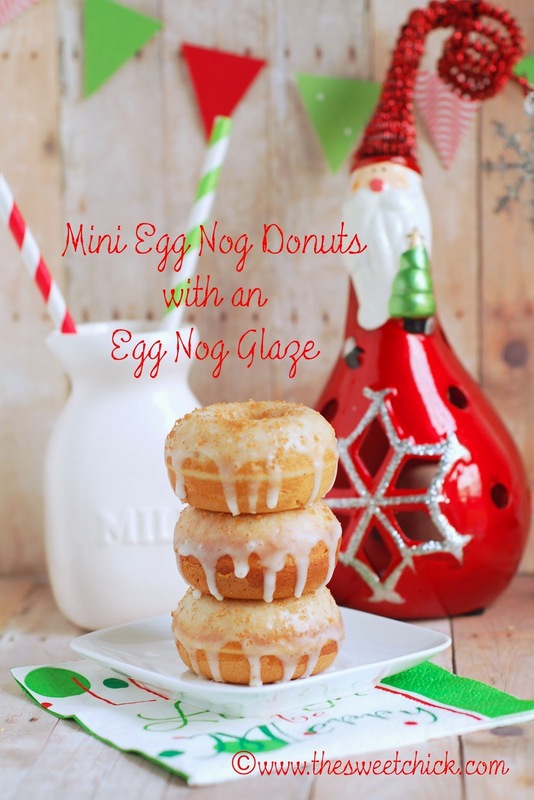 In a stand mix or in a large bowl, add the cake mix, butter, eggs, and eggnog. Mix until well blended and smooth. Scoop batter out with cookie scoop and place on parchment lined cookie sheet, leaving about 2 inches between scoops. Bake for 10-12 minutes at 350°F or until a toothpick inserted in the middle comes out clean. Once the cookies have cooled completely, melt the candy melt in the microwave according to package instructions. Place candy melt in a candy decorating bag with tip or in a Ziplock bag and cut off one corner. Voila! Done. Now you can grab one and eat it. Enjoy! I placed my cookies in an airtight container at room temperature. Place a sheet of wax paper in between layers to keep from sticking. 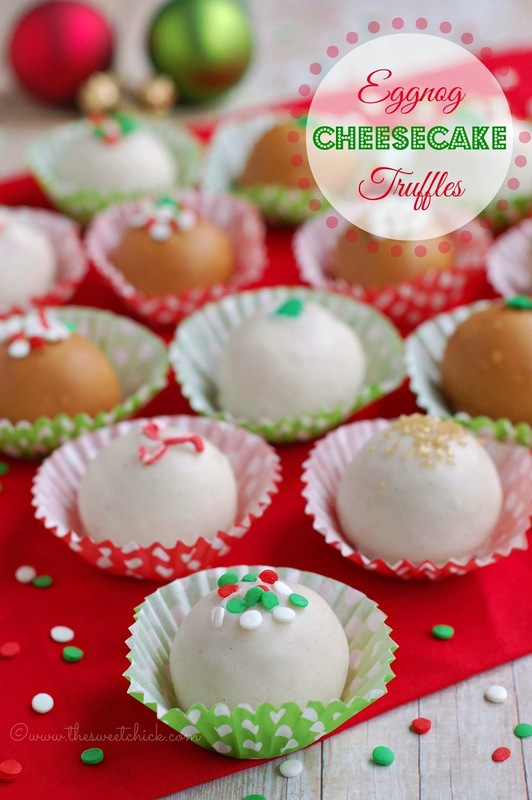 If you are making them ahead of time, you can also freeze them. 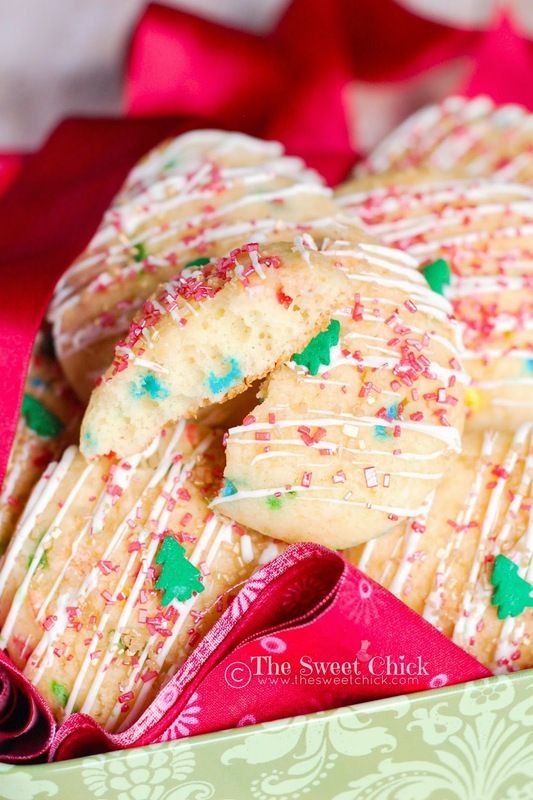 What a pretty cookies... yum! Thanks Ilona, you are always so sweet.